If you take a close look at how much you pay for various taxes, chances are this number would be more than 50% of your overall expenditures. So what is the single most important expenditure for you to focus on in order to keep more of what you make and dramatically increase your savings? The answer, of course, is taxes – taxes, taxes, and more taxes. But the fact is that most people completely overlook the importance of minimizing their taxes in order to help maximize their wealth accumulation. You must implement a “tax alpha” strategy for each of the wealth management issues you encounter throughout your life. Tax alpha’s focus in the past has revolved around the investment decision-making process and has fallen short in addressing all of the wealth management issues throughout an individual’s lifetime. 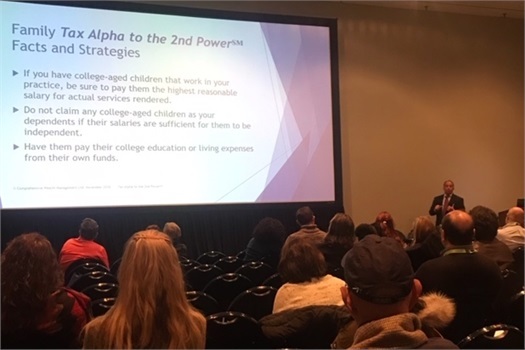 John Vento has now exponentially created Tax Alpha to the 2nd Power℠ by optimizing sound tax strategies and applying them throughout the entire financial planning process. In the second edition of his book, he provides hundreds of Tax Alpha to the 2nd Power℠ facts and strategies that will help you accelerate your wealth accumulation and dramatically increase your chances of reaching point X, financial independence. Work with John, and you’ll see the difference Tax Alpha to the 2nd Power℠ can make! John is also available to give presentations on his Tax Alpha to the 2nd Power℠ approach to wealth management.